January 7, 2016 - Boeing delivered 762 commercial airplanes in 2015, 39 more than the previous year and most ever for the company as it enters its centennial year. In 2015, Boeing recorded 768 net orders, valued at $112.4 billion at current list prices. - Five customers received their first 787 Dreamliners, including Oman Air, Scoot, American Airlines, KLM Royal Dutch Airlines and Vietnam Airlines. - The 747 team delivered the 100th 747-8, the 767 program received its largest single order ever from FedEx and the 777 program announced a 2 percent fuel improvement package. 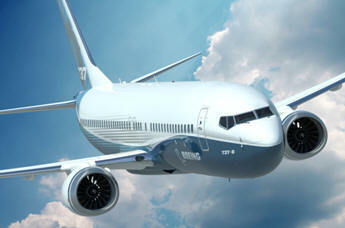 - The newly expanded Seattle Delivery Center opened its doors to pave the way for increased 737 production. - The first 737 MAX rolled out of the factory in December. - The 787-10 team completed detailed design of the newest member of the 787 family, while the 777X reached firm configuration, allowing the team to begin detailed design of parts, assemblies and other systems for the airplane. "The Boeing team has worked hard to achieve strong performance," said Boeing Commercial Airplanes President and CEO Ray Conner. "Our team did a fantastic job achieving higher deliveries and getting our products to our customers as quickly and efficiently as possible. This will continue to be our focus. We had a solid year of orders in 2015, maintaining a strong, balanced backlog that will help ensure a steady stream of deliveries for years to come.